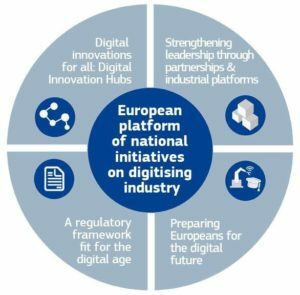 In 2016 April the European Commission adopted the “Digitizing European Industry” (DEI) document, focused on innovative investments and innovation system, strengthening the Research and Industry link and promoting the enterprise digital transformation processes. 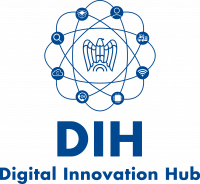 The strategic actions of “Digitizing European Industry” are developed through Competence Center (CC) and Digital Innovation Hub (DIH) network. 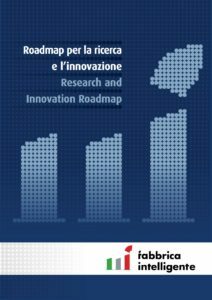 The Italian Ministry of Economic Development has implemented the DEI strategies in the “National Industry 4.0 Plan” giving rise, in collaboration with the main National Associations (Confindustria, Confcommercio, Confartigianato and CNA), to the establishment of I4.0 environment and the promotion of Regional Digital Innovation Hubs coordinated by Confindustria on a national scale. MEDISDIH was involved by Confindustria Bari BAT in the “Feasibility study for the establishment of a Apulian Digital Innovation Hub (DIH)” project, financed by the European community (I4MS-ICT Innovation for manufacturing SMEs H2020), whose follow- up was the integration of the Apulian DIH in the pre-existing Mechatronic Technological Cluster – MEDIS Scarl. MEDISDIH is Partner of the National Technological Cluster “Intelligent Factory” – CFI, non-profit association, become from May 2018 association recognized (D.P.R. 10/02/2000, n. 361). Starting from the Italian Ministry of Education, University and Research (MIUR) Directorial Decree DD May 30, 2012 No. 257 for the development of National Technological Clusters, the Regional Government of Apulia Region has formalized a Program Agreement with the MIUR on the issues of the Intelligent Factory. Nominated by the Regional Government of Apulia Region, which is one of the Italian Regions that have formalized a Programme Agreement with MIUR about the Intelligente Factory themes, MEDISDIH now is a member of the Coordination and Management Body (OCG) that guides the association.